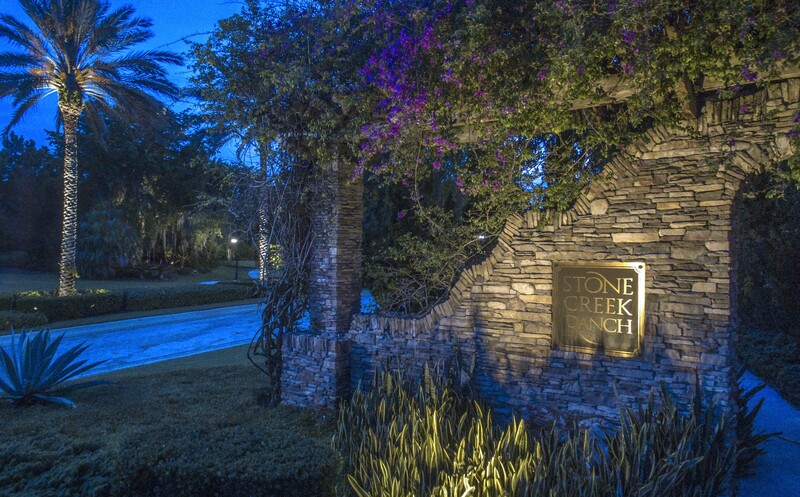 Stone Creek Ranch is a newer estate home, luxury gated community located West of Lyons Road across from Mizner Country Club in Delray Beach, Florida. Stone Creek Ranch features 37 luxurious estate homes on 2.5 acre lakefront lots. Stone Creek Ranch offers resale homes and new estate homes. There are also limited lots left to build your dream home with one of Stone Creek Ranch preferred builders or you can choose your own. Stone Creek Ranch provides the ultimate in security and privacy amid 187 acres of pristine Florida landscapes and large private lakes. The grand, luxurious homes in Stone Creek Ranch are one-of-a-kind custom built estates and private compounds offering spectacular water views and ample space for terraced gardens, separate guest quarters, patios, pool decks and private tennis courts and more. Contact us at Mizner Grande Realty for a private tour of Stone Creek Ranch.